A number of cross-party MEPs, including European Parliament Vice President Fabio Massimo Castaldo, have signed and authorised the issue of a press release on 5 Uyghur asylum seekers who are currently detained and facing deportation in Bulgaria. These asylum seekers face further detention, torture and possible death penalties if deported back to China, therefore the MEPs are urging Bulgaria to comply with international law and grant the political asylum. The immigration hearings for the asylum seekers began today. 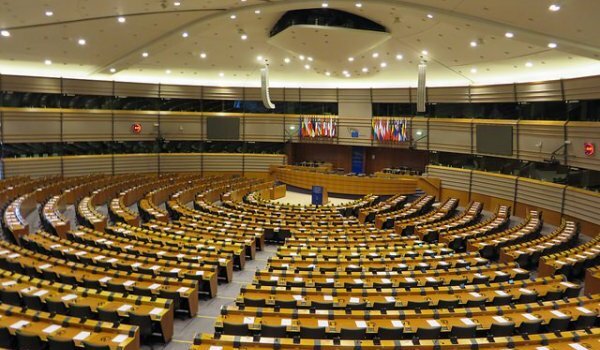 We, in our capacity as Members of the European Parliament, urge the government of the Republic of Bulgaria not to deport to China five Uyghur asylum seekers currently detained in the Lyumbimets Detention Centre in Bulgaria. If urgent action is not taken, there are substantial grounds for believing that there is a real risk of irreparable harm if they are forcibly returned to China, including arbitrary detention, enforced disappearance or torture on account of their Uyghur ethnicity. The five Uyghur asylum seekers were arrested by Bulgarian police on July 27, 2017 after crossing the border from Turkey and have been held in the Lyumbimets Detention Centre since then. Their initial asylum applications were denied by Bulgarian immigration authorities and they are currently appealing those decisions. The appeal hearings will be held on January 16th and 26th, 2018. The repression of the Uyghur people has been well documented in numerous reports by organisations such as Human Rights Watch, Amnesty International and Unrepresented Nations and Peoples Organisation (UNPO) and by national governments. The situation has deteriorated in recent years and Uyghurs in particular have borne the brunt of increasingly draconian policies restricting basic rights to freedom of religion and expression, and the right to education in their native language. This suffocating atmosphere and threat of arbitrary detention has forced many Uyghurs to attempt to flee China and seek asylum abroad. China’s ongoing persecution of Uyghurs and mistreatment of returned refugees and asylum seekers makes us very concerned for the well-being of the Uyghur asylum seekers in Bulgaria. The Chinese government has a long history of pursuing Uyghur refugees and asylum seekers beyond its borders, using its growing influence and economic power to pressure national governments to return them to China. Those who are forcibly returned to China are often subjected to enforced disappearance, torture, arbitrary detention or death. In the past 15 years, over 300 Uyghurs have been forcibly returned to China from 16 different countries – mostly neighbouring China. Following these forced returns, no information about their whereabouts or well-being is released and no formal charges laid. In 2017, 22 Uyghur students were forcibly returned to China from Egypt and have since disappeared. We therefore respectfully urge the Bulgarian government to comply with international law and the principle of non-refoulement and refrain from forcibly returning the five Uyghur asylum seekers to China. Bulgaria has a responsibility to abide by and promote human rights and European values, especially now that is has assumed the Presidency of the Council of the EU.